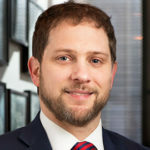 Jon Finer is a Non-Resident Advisor at the Reiss Center on Law and Security at NYU School of Law. Previously, he was the chief of staff and director of policy planning at the U.S. Department of State, serving as Secretary John Kerry’s principal advisor and helping lead the Obama Administration’s key diplomatic initiatives, including the Iran nuclear negotiations and the Paris climate accord. Finer served in the White House during the first term of the Obama Administration, starting as a White House Fellow in the Office of the Chief of Staff and also working as Vice President Biden’s Middle East advisor and foreign policy speech writer, as well as on the National Security Council Staff. Before his time in government, Finer reported from more than a dozen countries as a foreign and national correspondent for the Washington Post, including covering the invasion of Iraq while embedded with the U.S. Marines and spending eighteen months in Baghdad during the descent into civil war. He also covered conflicts in Georgia, Lebanon, and Gaza. Finer’s essays and opinion writing have been published in the Atlantic, the Boston Globe, the Christian Science Monitor, Foreign Affairs, Foreign Policy, the Los Angeles Times, the New Yorker, the New York Times, Politico, and the Washington Post. He began his career at the Far Eastern Economic Review, a news and business magazine in Hong Kong. Finer has a law degree from Yale, an M.Phil in International Relations from Oxford, where he was a Rhodes Scholar, and an undergraduate degree from Harvard. He is the co-founder and chair of the Iraqi Refugee Assistance Project, and serves on the board of the Truman National Security Project, and the advisory boards of Diplomacy Works and Foreign Policy for America. He currently oversees the political risk and public policy practice at Warburg Pincus, LLC, a global investment firm.